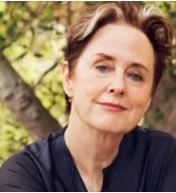 The Organic Center is pleased to announce that famed restaurateur, organic food activist and healthy-eating pioneer Alice Waters will be the keynote speaker at The Center's 13th Annual Benefit Dinner on March 10 in Anaheim, California, which this year is based around the theme "Good Food. Good Company. Good Science." A headline event for the organic industry, The Center's fundraising dinner attracts almost 500 organic leaders, visionaries and activists who gather to celebrate the work of The Organic Center (TOC) in advancing organic through consumer education about organic's benefits and collaborating with academics and governmental agencies on critical organic research. Held every year in conjunction with Natural Products Expo West, the event raised nearly $450,000 last year for the work of The Center. "The Center's annual dinners are always inspiring, and the presence of Alice Waters will make this one especially so," said Todd Linsky, Chairman of the Board of Trustees for The Organic Center. "Alice's unwavering commitment to healthy eating and organic food over all these years has played a huge role in enabling the advances and progress that we've seen in organic. Organic is being integrated more and more into millions of people's daily lives, and organic visionaries and activists like Alice have helped make that happen." Waters is often quoted as saying she discovered organic food almost accidentally: "I was looking for taste and flavor, and I ended up at the doorstep of the local organic farmers." That fortuitous discovery more than 40 years ago led to her Berkeley, California, restaurant Chez Panisse, the beginning of the farm-to-table movement in the United States, and the revolutionizing of the way Americans ate, how they cooked, and how they thought about food. In 1995, Waters founded the Edible Schoolyard Project, which advocates for a free school lunch for all children and a sustainable food curriculum in public schools. Her many honors include the National Humanities Medal awarded in 2015 by President Barack Obama, proving that eating is a powerful means to social justice and positive change. She is the author of fifteen books. Good food. Good company. Good science. Attendees at this year's event will enjoy a combination of a delicious organic dinner, stimulating company and thought-provoking science. The event through the years has become one of the organic industry's most important business networking events – and all for a good cause. The non-profit Organic Center was created by visionaries in the organic business community who saw the critical need for more research to promote the growth of the sector. Businesses came together to form this valuable organization that fosters the advancement of the industry through factual evidence on the benefits of organic. The Center's key objectives are to educate the public about organic and the broad and real impact of organic on the environment, on ecosystems, and on human health, and to inform organic farmers, other organic stakeholders, and also non-organic producers on critical research to assist them in their operations. Alice Waters has long appreciated the value of organic, and the importance of producing food using environmentally friendly practices. "I am honored to be speaking at this event to so many people who are working every day to improve our food and at the same time to be good stewards of our land. We should never take good food for granted, nor the work of those who grow that food and who make it available to all of us," she said. "Organic growers are taking care of the land. And that's where our food comes from. We want the farmers to be supported who really care about not only our nourishment but the nourishment of the land," Waters said. The Center has several key research projects underway: collaborating to develop integrated pest management systems to increase organic rice production in the South, studying the use of animal-based manure and compost in organic farming and how to prevent the risk of soil pathogens, comparing soil health on organic and conventional farms, seeking organic solutions to citrus greening, and highlighting the benefits of organic to honey bees and other pollinators. The Center will also be holding its first-ever Organic Confluences Summit in May in Washington, D.C., in conjunction with Organic Week. The summit will review the latest research on the benefits of organic agricultural practices and assess the available public programs that help farmers adopt those practices. Individual tickets for the dinner are now available and can be purchased online. For information on how to purchase a table at the dinner, and for sponsorship opportunities, please contact Amy Bovaird. For more information about the work of The Organic Center, visit its website. The Organic Center's mission is to convene credible, evidence-based science on the health and environmental benefits of organic food and farming, and to communicate the findings to the public. The Center is an independent non-profit 501(c)(3) research and education organization operating under the administrative auspices of the Organic Trade Association.